Location: A few miles Southwest of Northfield, Minnesota off of Hwy 3 behind the Menards you will find this little gem located on Railway Street and Mill Street. Basically look for the Cannon River and you can't miss it! History: It is listed on the National Register of Historic Places. The first mill in Dundas was built by John Sidney and George Archibald on the east bank of the Cannon River in late 1857. An 1860 flood caused a split in the river, routing water further east of the mill and creating an island, which still exists today. Across the river was a sawmill, built in 1856 and purchased by the Archibalds for use in constructing their mill. 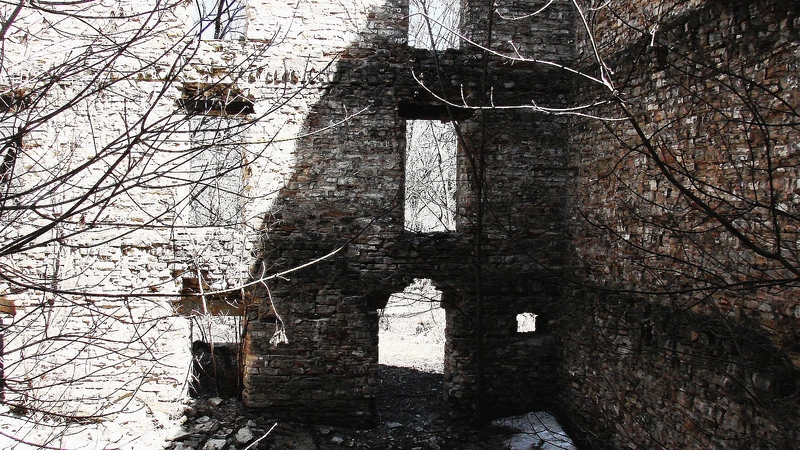 Some remains of this mill can be seen as well but are minimal. A second mill was built in 1870 on the west bank of the west channel and in 1879, the original mill was completely remodeled. On December 31, 1892, both mills owned by the Archibald family burned. A rebuilt mill burned on November 19, 1914. It was rebuilt for the final time and later partially destroyed in the early 1930s. Location: A few miles west of Cannon Falls, Minnesota off of Hwy 19 heading toward Northfield you would take a left on Oxford Mill Road and travel about 3-4 miles and it will be easily spotted on the left hand side of the dirt road on the Little Cannon River. History: This is the Oxford Flour Mill, built in 1878 to replace an older mill across the road, which was built in 1867. Listed on the National Registrar of Historic Places, the first Oxford Mill, built by the milling magnates Archibald and Wilcox turned out a flour that won a gold medal in the Philadelphia Exposition of 1876. In its heyday, the new mill handled 400 bushels of wheat a day and employed 30 to 40 men. It was destroyed by fire in 1905. History: Listed on the National Register of Historic Places, these ruins are the remains of the very first flour mill in Minnesota. The Ramsey Mill was built by Minnesota's first territorial Governor in Alexander Ramsey along with Dr. Thomas Foster in 1856-1857 on the Vermillion River. Although Ramsey sold his interest in 1877, it retained his name. Maximum output was achieved in 1894, at 125 barrels per day. On December 22, 1894, the building burned, possibly due to arson.